School projects. I loved them as a kid. Is it still crazy that I love them as a parent? Blessing1 brings home quite a few school projects now, and we have a lot of fun coming up with new and interesting ways to complete them. The latest? 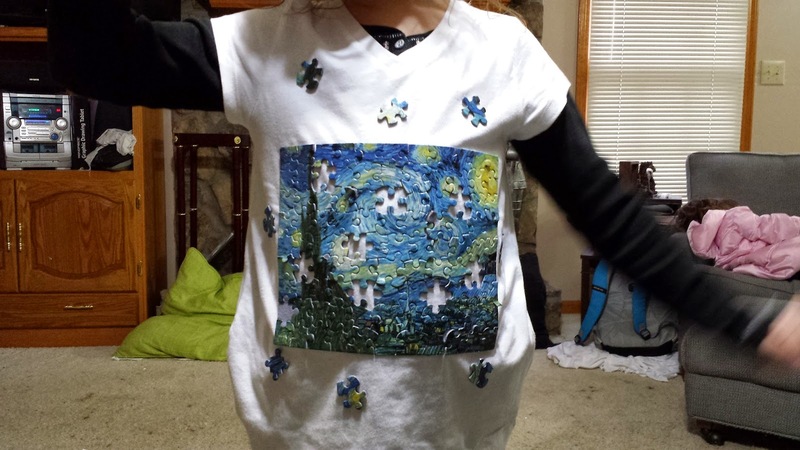 A shirt celebrating the 100th day of school. It had to have 100 items on it. So we chose puzzle pieces. Have you got kids bringing home school projects? What was your favorite project from you school days?